Some say their garden is painted by God’s hand. Here is a likeness of one of His angels to keep a watchful eye over your garden. 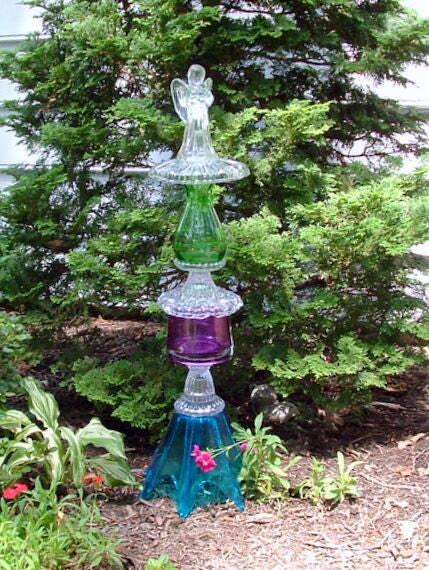 Eight pieces make up this contemporary garden totem topped with an angel. 30 inches tall x 9.5 inches in diameter at widest point. SOLD - Thank you!